With Spring Training under way and another baseball season within sight for those of us who are weary of winter, it seems like a good time to share a baseball-themed excerpt from my regional history book, ALBANY SCRAPBOOK. Hall-of-Famer Johnny Evers is just one of the standouts a baseball-mad area produced or cheered for over the years . . . In baseball, nothing is sacred. No achievement ever goes unchallenged when two fans meet over a like number of beers, no player walks into history without finding an army of disputatious detractors in hot pursuit. So it really isn’t surprising that there is at least one modern baseball writer who thinks that Johnny Evers and his Chicago teammates Joe Tinker and Frank Chance were probably overrated, an early product of what we now think of as hype or spin. Evers was a gangly kid from Troy who was plucked from a minor league field in that city by a desperate Chicago scout, rushed down to Philadelphia to join the visiting Cubs as a last-minute replacement for a bum-legged shortstop and rather loosely outfitted (the 19-year-old Evers weighed only 115 pounds) for his first big league action—a doubleheader—that same day, Labor Day, 1902. If his new teammates laughed at the sight of the scrawny little Irish kid in his man-sized uniform—they did laugh and the beleaguered scout protested, “It was the best I could do on short notice”—they wouldn’t be laughing for long. Evers (pronounced with the first “e” long) was as determined a player as baseball had ever seen. The scrappy but unlikely athlete who came up on Collar City sandlots gritted his teeth and scrapped his way into the Baseball Hall of Fame. That first day, the story goes, his fellow Cubs were so sure that he wouldn’t make it in the majors that they wouldn’t let him ride on the team bus for the return trip to the hotel. (He climbed on top of the bus and rode there.) In short order, however, the double play combination of Tinker-to-Evers-to-Chance, following Evers’s move to second base, became possibly the most formidable and certainly the most famous two-away combo in the history of baseball. Glenn Dickey, author of The History of National League Baseball Since 1876, thought that the trio’s fame owes more to hype than hustle, though. In 1910, the famed sports writer Franklin Pierce Adams tagged his column in the New York Mail one day with eight lines of doggerel, before rushing out to the Polo Grounds to root for his native town’s Cubs in a contest with the—for Adams—loathsome New York Giants. But Glenn Dickey may have been a bit too clever, and he may have relied a bit too much on the words of New York Giants manager John McGraw, one of the meanest, if most capable, men in the history of an often mean sport, to make his case. The records speak very well, indeed, of Joe Tinker, Frank Chance, and the Capital Region’s homegrown Johnny Evers (who followed his career by opening a sporting goods business bearing his name that generations of area residents grew up frequenting for their bats and balls). For a decade or so, the Chicago Cubs were formidable, ruthlessly pricking the gonfalon bubbles of just about all comers. 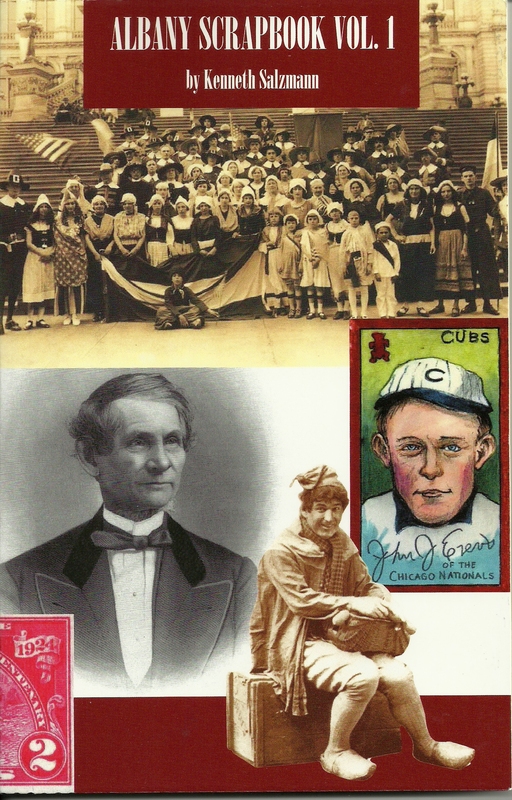 During Evers’s first stint with the team, from 1902 to 1913, the Cubs had only one losing season, making it to the World Series in 1906, 1907 and 1908 and winning two of the three contests. Evers would also go on to play in that classic a fourth time, as a member of the 1914 Boston Braves, in a season in which he batted .341 and captured the equivalent of the Most Valuable Player Award. While he had only one other .300 season—1908 when he hit that number squarely on the head—he often was near the top of the list in statistical categories such as walks, stolen bases, runs scored and on-base percentage, seldom striking out along the way. As a fielder, Evers played in 1,776 games, recording 3,806 putouts and 5,215 assists and taking part in 692 double plays, the stuff of his legend, while committing 447 errors.